Scroll down for links to recent UCC articles & commentaries from the UCC website or UCC Facebook page. Trump, appealing the American people to spend billions on border security to end “a growing humanitarian crisis, a crisis of the heart, a crisis of the soul,” urged Democrats to continue negotiations to bring an end to the partial federal government shutdown over border wall funding, which is now in its third week. Rejecting the President’s argument for a “steel barrier” on the United States southern border UCC executives underscored the denomination’s long history of extravagant welcome, welcoming refugees, asylees and immigrants no matter what their documentation status because we believe all people are equal in the eyes of God. We’re about to find out. We have done this before, and not that long ago. Five years ago, the United Church of Christ launched Mission One – an initiative to help alleviate hunger. Four years ago, we launched Mission 4/1 Earth – a concentrated effort toward restoring health to the planet. 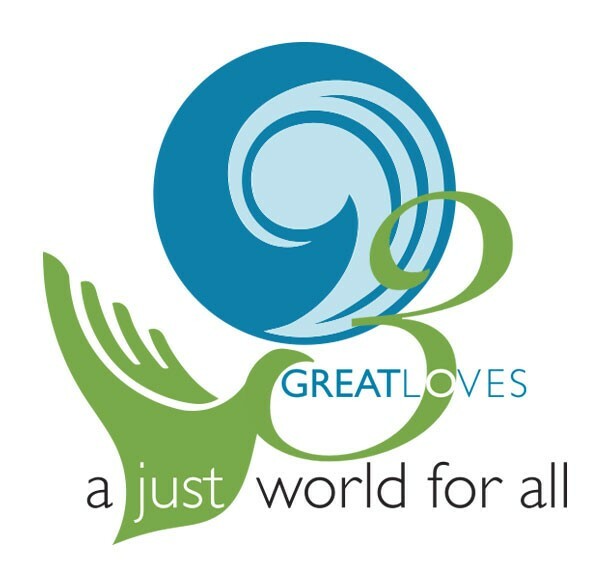 This year, and for the next two years until General Synod 2019, we call the faith communities of the United Church of Christ to engage in the Three Great Loves mission campaign. How does your church embody its love for children? How does your church incarnate the love of Jesus in seeking to love your neighbor? How does your church uphold the mandate to steward the Earth by demonstrating a love for creation? Let our love light the way to a better world, a more just world – for the children, for our neighbor, for creation. Following the 10:15 worship service on March 26, 2017, we had an opportunity to learn from and dialogue with Muhammad Fazili, Mohammad Aziz and other members from the Islamic Society of Greater Valley Forge. St. John’s members shared a lunch & discussion with them at their mosque on October 22, 2017. God of our weary years, God of our silent tears, Thou who hast brought us thus far on the way; Thou who has by Thy might Led us into the light, Keep us forever in the path, we pray…. Shadowed beneath Thy hand, may we forever stand, True to our God, true to our native land. We now must stand, true to our God and true to our native land. Let what we do in this time help both America and our denomination become what each name aspires to: A UNITED States of America and a UNITED Church of Christ. And may it be our love of, our welcome to, and our justice for all that unites us. St. John’s is a member of the United Church of Christ denomination, which has over 1 million members. Within the individual churches, and with individual members, there are differences of opinion on issues that affect us socially and politically, but the UCC and its predecessors have always stood up for Justice in the name of Jesus Christ. On this website page we will link recent articles from the UCC website which discuss the UCC news and opinions on topical issues. Not all of our members agree with the UCC national opinions, but please respect that these are the views of the denomination and of many in our congregation.